Get ready to throw one rockin' party. 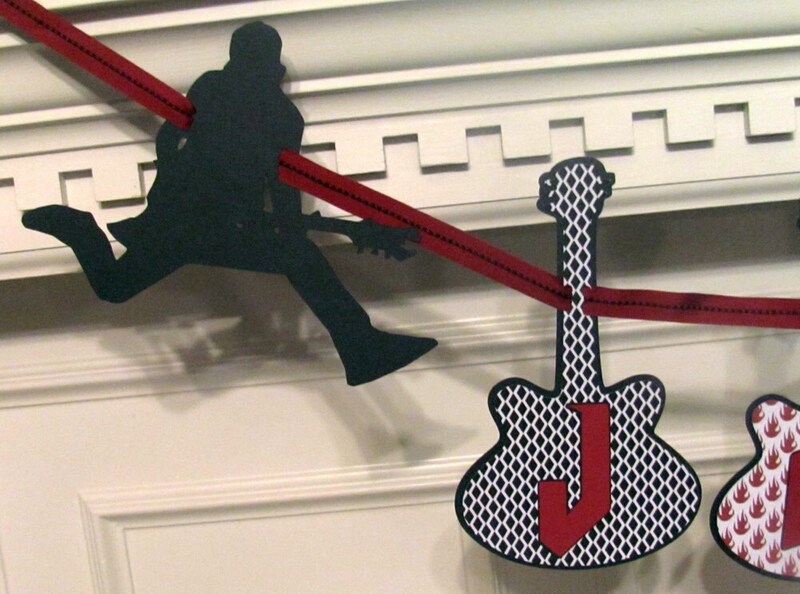 This fun banner is great for any rocker or guitar hero. Guitar panels are done in 2 layers of heavy weight card stock and are printed with this great rock and roll designer paper. The guitars are 8 inches high and approximately 5 inches wide. 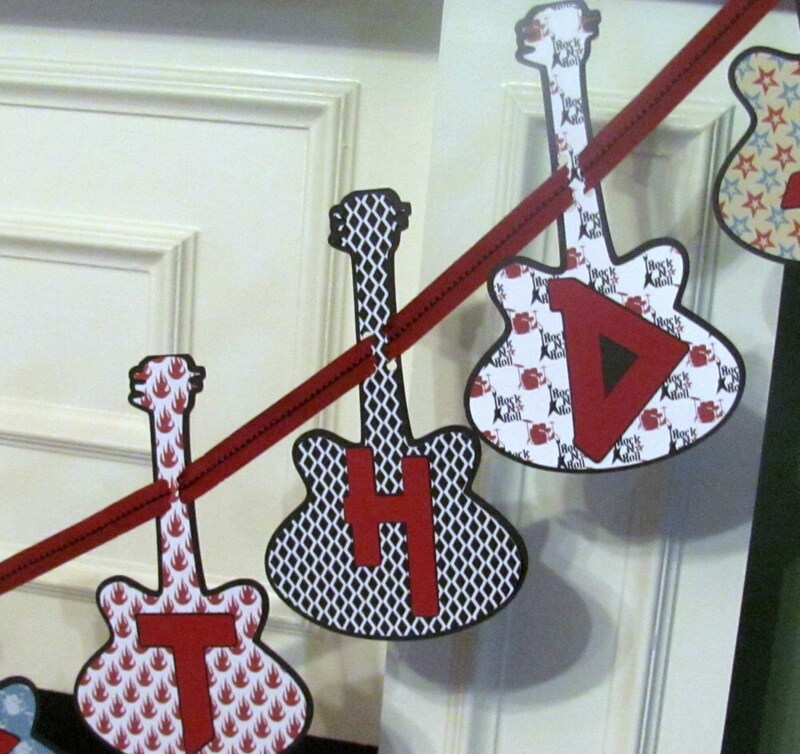 You will receive 2 banners- the happy birthday banner and a 2nd banner featuring your rockers name along with 2 silhouette cutouts of guitar players. 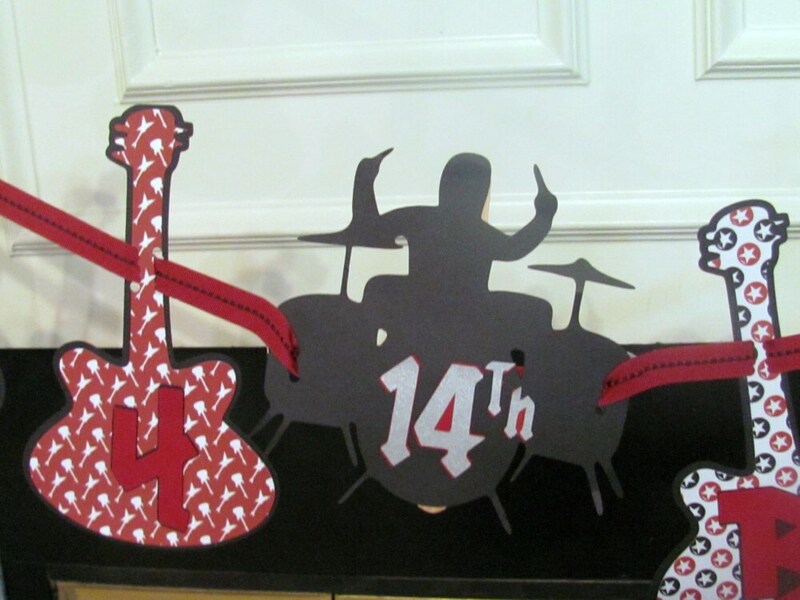 The drum set will feature the age of your birthday honoree. 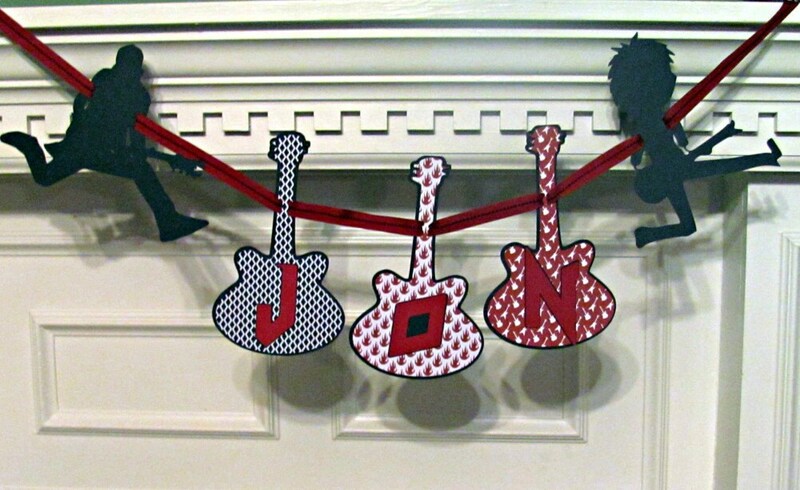 Banners are strung with red and black ribbon. The font used on this banner is Rude Metal for a funky look. Please allow a minimum of 7-10 days for order processing. Once processed your banner will be shipped via US Priority mail (for US residents). International shipments are by International First Class mail. Loved our sign! It was adorable and worked great! Love this banner! 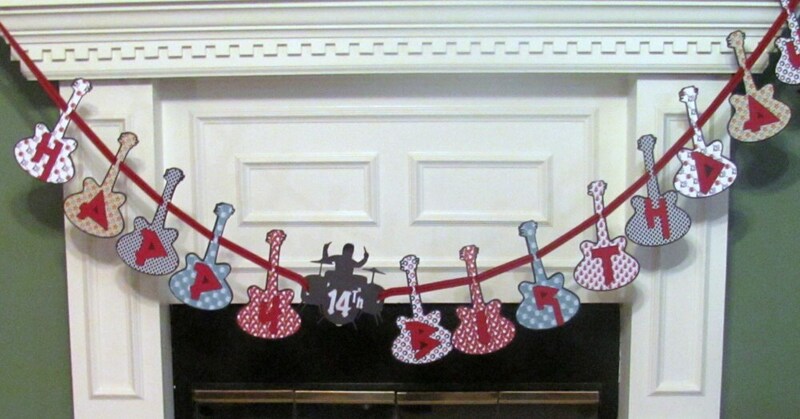 My son is turning 13 and he is a guitar player. Can't wait to surprise him on his birthday - well made and arrived in a timely manner. Love it!